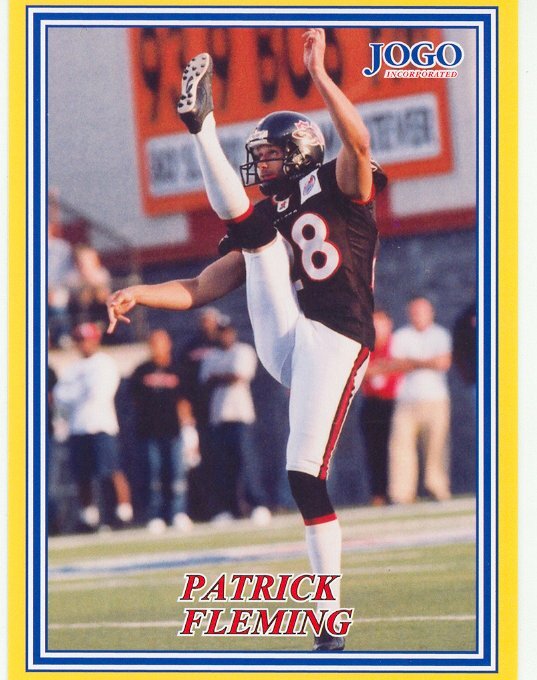 Born in Ottawa, it was a natural for Pat Fleming to sign with the expansion Ottawa Renegades in 2003 after play8ng college ball at Bowling Green. Fleming was the Renegade punter for the entire three year career of the franchise, and was then selected by Hamilton in the dispersal draft in 2006. Fleming finished his career with three games in Winnipeg in 2007.